According to the Brain Trauma Foundation, approximately 5.3 million Americans, or 2 percent of the population, currently live with disabilities resulting from a head injury. These injuries are extremely unpredictable in terms of effects and recovery and occur when the scalp, skull or brain is hurt due to inflicted trauma. While some head injuries may only lead to a slight bump on the skull, others can cause serious short and long-term problems with the brain. The effects of a head injury generally vary by situation. While these symptoms may develop right away for some, others may find that the symptoms develop slowly over the course of several hours or days and may last for a few months or continue to cause problems for their entire lifetime. A head injury can cause blood vessel damage, nerve damage, cognitive problems, communication problems, altered consciousness, tissue infections, seizures, behavioral and emotional changes, sensory problems, degenerative brain disease and other complications. For example, a head injury sufferer may have problems with swallowing, comprehension, difficulties with reading and writing or struggle with sudden emotional outbursts. Unfortunately, there is no guarantee that these symptoms will ever completely go away. The persistence of these effects may be impacted by the cause of the injury, access and response to treatment, age, preexisting medical complications, the severity of the injury and other factors surrounding the injury’s infliction. Generally, the fastest and most noticeable improvements occur within six months following the injury. During this time, it may appear that the victim is steadily getting better. These improvements may continue for up to two years and then slow down substantially. However, the recovery rate varies by person. Although some head injury victims may make a full recovery while others may endure the effects for their entire lifetime, the more severe the injury is, the less likely it is for the sufferer to completely recover. 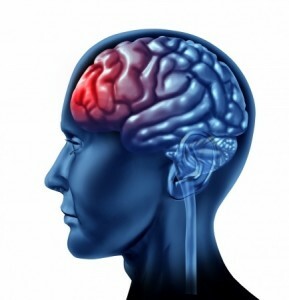 It is important for head injury sufferers to remember that treatment is not one-dimensional. If a patient is severely injured, they may work with a variety of different medical professionals, such as speech pathologists, physical and occupational therapists and psychologists, in order to recover and work towards living a normal life. Since the effects of a head injury and treatment needs are unpredictable, determining how much compensation is needed when filing a personal injury claim to cover the cost of medical care, rehabilitation and the emotional effects of the injury can be a complicated task. Those who sustain a head injury should consult with an attorney who can help them determine how much compensation is necessary.